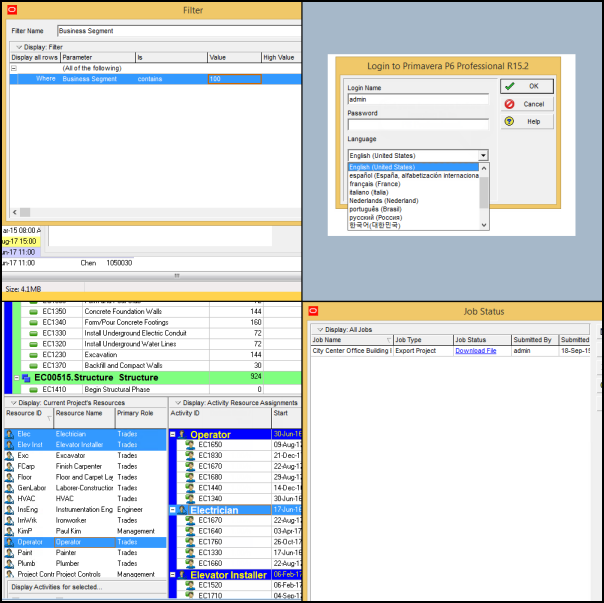 Oracle has released the latest Primavera P6 Professional 15.2! 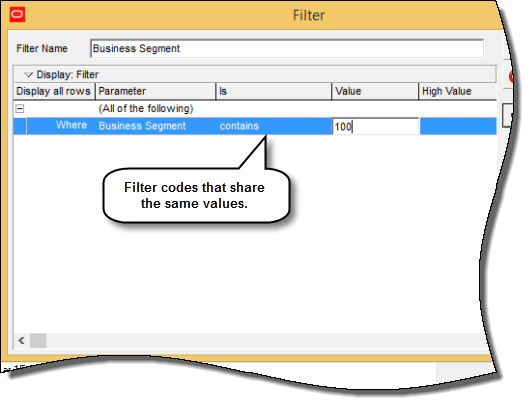 Additional filter criteria for codes. Copy project as a job service. 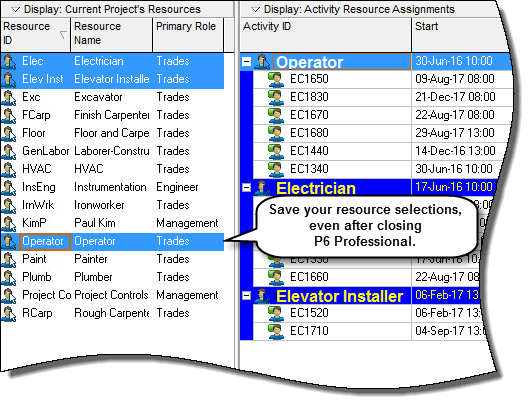 P6 Professional 15.2 enables you to filter activity, project, and resource codes on two new criteria -- Contains and Does Not Contain. These options are useful when filtering codes that share some of the same numbers or characters in their values. Export projects in XML format as a job service, allowing you to continue working in P6 Professional while the service runs in the background. A notification displays when the service is completed. 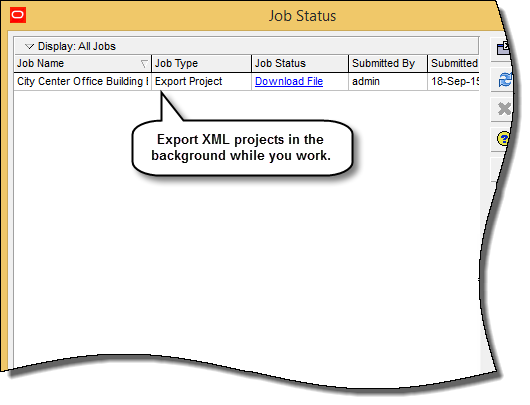 In the Job Status dialog box, click Download File to download the XML file. This functionality is not available in Standalone mode. 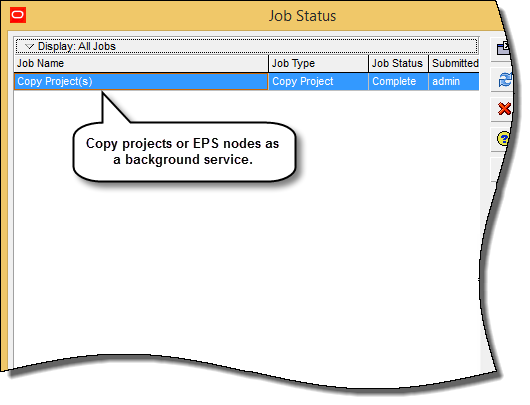 P6 Professional 15.2 enables you to copy projects or EPS nodes as a job service, allowing you to continue working while the service runs in the background. A notification displays when the service is completed. View the status of the service in the Job Status dialog box. This feature requires connection to a P6 EPPM database. When you select resources in the Resource Histogram or Spreadsheet and then close P6 Professional, those selections will be maintained the next time you start the application. This new feature saves time by retaining your resource selections. The selected resource filter -- All Resources, All Active Resources, or Current Project's Resources -- is also maintained. The state of the resource histogram and spreadsheet can be saved as part of the layout. 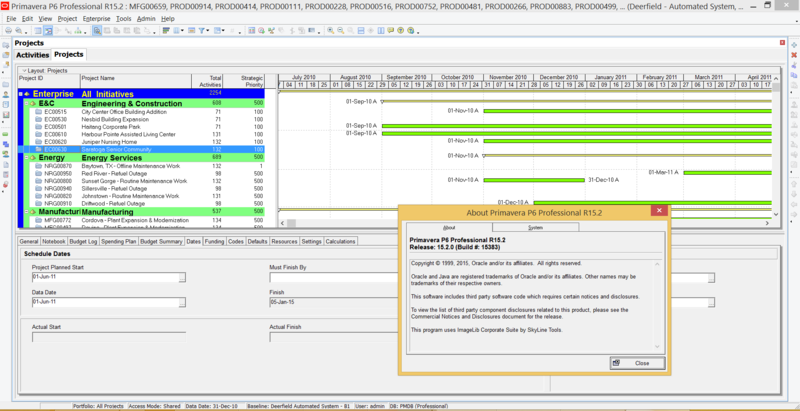 Primavera P6 Professional 15.2 is available as a 64-bit installation. If you are running a 64-bit operating system, choose between a 32-bit or 64-bit version during application installation. Handle larger and more complex projects, with faster response time from P6 Professional components. An upgrade from the ANSI character set to the Unicode standard enables you to work with multiple languages in P6 Professional at the same time. Higher memory abilities leads to better performance. Crashes due to memory issues are reduced. 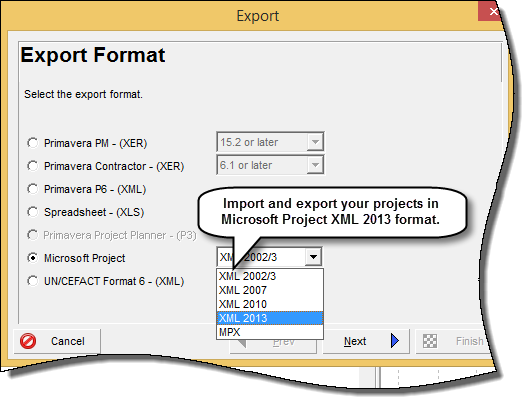 P6 Professional 15.2 enables you to import and export projects in Microsoft Project XML 2013 format. Share project data between P6 and Microsoft Project 2007, 2010, or 2013 by importing and exporting your projects in the corresponding format. 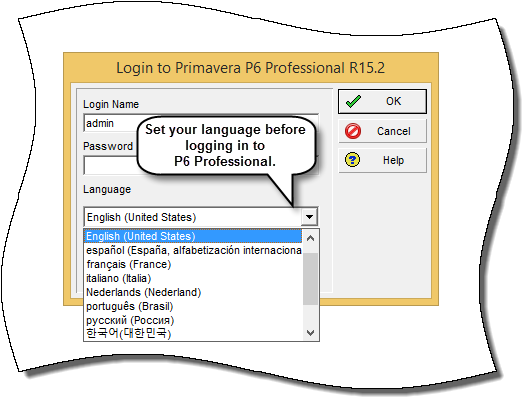 Choose your language in the Login dialog box before you log in to P6 Professional 15.2. This enhancement makes it easier to change your language of choice. The Set Language option on the Tools menu is removed from the application.